Synopsis: Step right up, step right up and don’t be shy—welcome to Victorian Secrets. 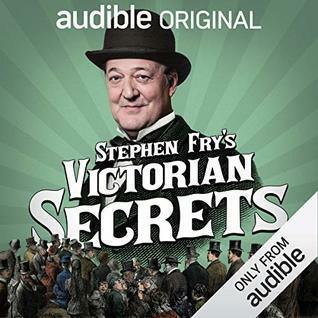 Over 12 fascinating episodes, Stephen Fry explores the weird and worrying ways of Victorian Britain through true accounts delving deep into a period of time we think we know, to discover an altogether darker reality. Review: I don’t normally listen to audiobooks but Amazon was having a deal near the holidays so I decided to give it a try. Did you know that with an audible subscription you also get Audible Originals. Victorian Secrets was one of then and honestly I was so glad I chose this as one of my originals. This was such an interesting listen! I learned so much about not only the Victorian age but about Queen Victoria herself, a Queen that I have been fascinated with for a very long time. Not to get into details, but you really will learn what it was like to have a secret during this time and what royalty and commoners did to preserve those secrets.